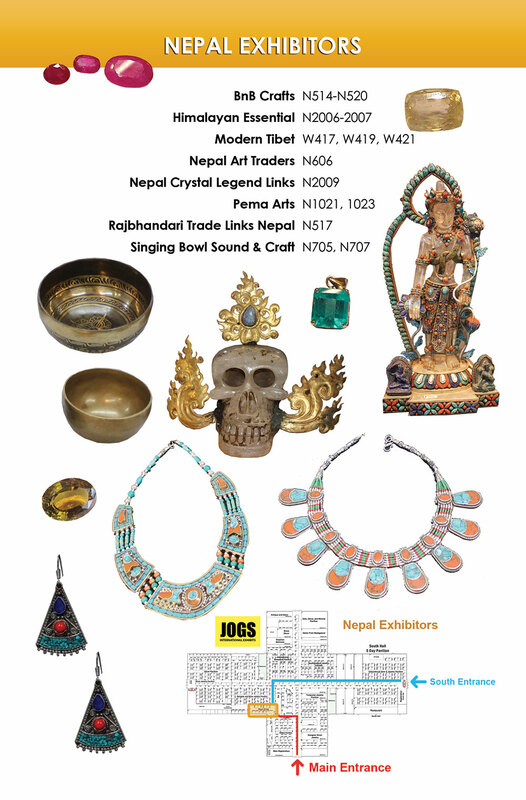 Every year the JOGS Tucson Gem & Jewelry Show hosts exhibitors from the far-off lands of Nepal and Tibet, each one bringing exotic treasures to the Show. Bring a little piece of culture home from the Nepal and Tibet Group Pavilion in the form of ethnic tribal handcrafted jewelry, singing bowls, statues, carvings, crafts and gifts from Nepal and Tibet. At the Show you can find handicrafts, jewelry, Thanka, singing bowls and cashmere from Nepal and Tibet. You can also find treasures from other parts of the world, including Voyageur International‘s Showcase. Voyageur International Group. If you are seeking more treasure like the ones in our Pavilions, you can book a Trade and Cultural Expedition to Bali, Borneo, Sumatra, North Africa or beyond. If you are at the Show, you can see and purchase a selection of their international artifacts.